A Drupal SharePoint integration is usually marked by a public facing website for anonymous users built on Drupal, combined with SharePoint intranet that is used for document management and internal collaboration by authenticated employees. This integration helps to play the strengths of both the platforms. SharePoint connects enterprise resources, and gives enterprises the benefits of structured processes and leveraged existing IT systems while Drupal provides dynamic websites and content management with easy authoring, multisite and multilingual capabilities. Thus, you get out of the box Microsoft products and clearly make SharePoint appealing. SharePoint is far less good at providing a flexible front end with a focus on user experience, so a lot of organizations wants to integrate certain key internal Microsoft systems with Drupal in order to get the best of both worlds- A Microsoft integrated document management system and a convenient and user-centric Drupal intranet experience. 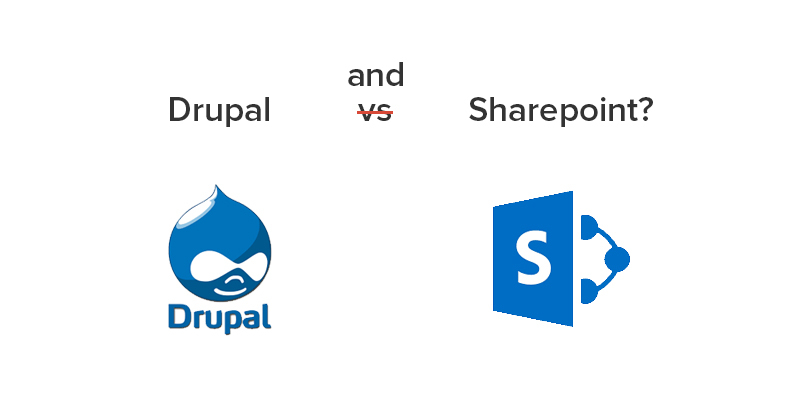 Thus, there is a place for both Drupal and SharePoint. Maintaining expert knowledge when working with both platforms. Looking for something beyond what the already available modules of SharePoint do or want new integration that solves your needs, talk to our team of SharePoint experts who can make an integration with SharePoint happen.